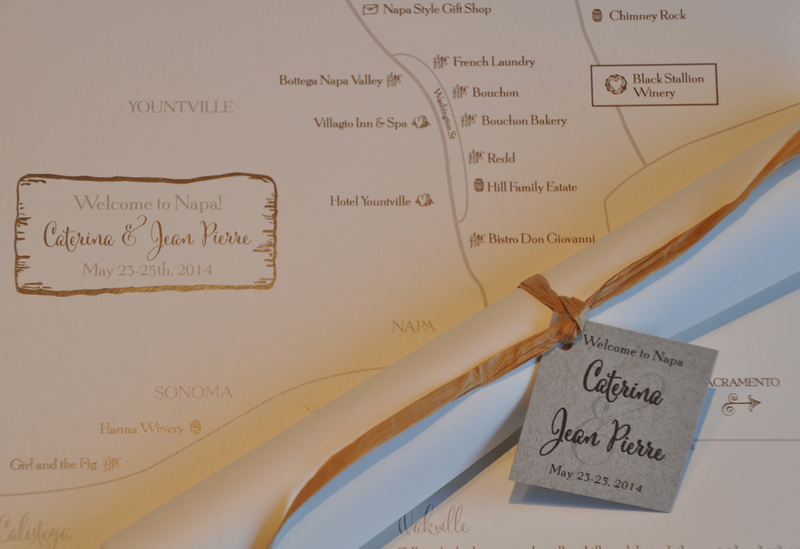 This couple came to me wanting a creative map of Napa Valley to present to their guests at the welcome dinner, held at Black Stallion Winery. Their theme was “rustic barbeque” – wine barrels, neutral colors, and taking advantage of the gorgeous backdrop of Napa’s rolling hills. With so many points on the map – wineries, restaurants and shops – I thought it would be nice to add a little description of each town along the main roads. 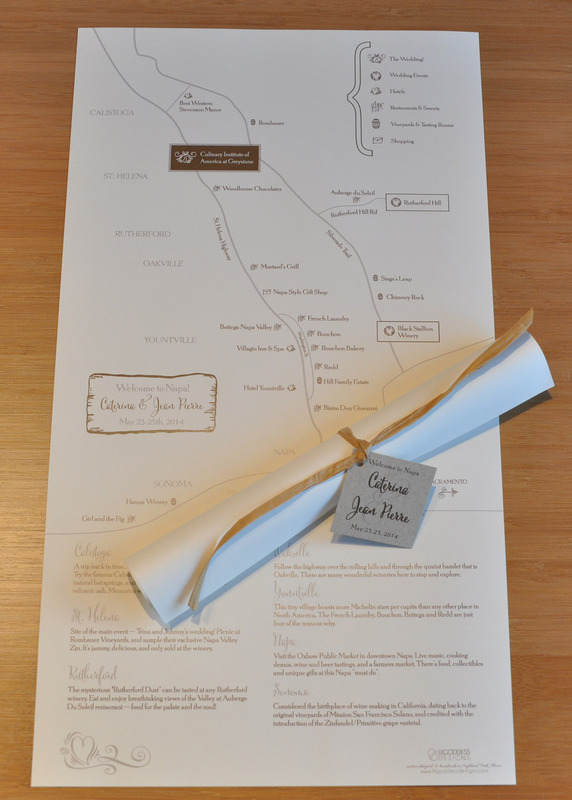 The couple loved these so much, they ended up including the maps with the place cards for the dinner.